Blue Buffalo brand cat food is manufactured by the Blue Buffalo Company. The company was founded when one of the owner's dogs was diagnosed with cancer. The company began as a search for foods that did not contain harmful environmental toxins, which can lead to cancer in pets. Blue Buffalo claims to use many human-grade ingredients in their pet food formulas. Blue Buffalo has previously recalled several of their products in the 2007 pet food recall, including all of their cat food formulas sold under the “BLUE Spa Select” name. As a result of the recall, Blue Buffalo removed all products from their formulas that were made by “American Nutrition”, the company who added the contaminated rice protein to their formulas. Blue Buffalo brand cat food is available in several different dry formulas, as well as many canned formulas. The BLUE Longevity formulas are available only in a 2.5lb and 5.5lb bag. The BLUE Spa Select dry formulas are available in a 3lb bag, a 7lb bag, and a 15lb bag (except for the kitten formula, which is not available in a 15lb bag). BLUE Wilderness formula is available in a 2.5lb bag, a 6lb bag, and a 12lb bag. BLUE Organic dry cat food is available in a 2.5lb bag, and a 6lb bag. Blue Buffalo Mature Cat Food. BLUE Spa Select dry cat food is available in six different formulas. Blue Buffalo Kitten Chicken & Brown Rice Cat Food – Guaranteed Analysis: 36% protein, 20% fat. Blue Buffalo Adult Cat Chicken & Brown Rice Cat Food - Guaranteed Analysis: 34% protein, 18% fat. Blue Buffalo Adult Cat Salmon and Brown Rice Cat Food - Guaranteed Analysis: 34% protein, 18% fat. Blue Buffalo Adult Cat Indoor Cat Food - Guaranteed Analysis: 32% protein, 15% fat. Blue Buffalo Adult Cat Indoor Sensitive Skin Cat Food - Guaranteed Analysis: 34% protein, 18% fat. Blue Buffalo Adult Cat Weight Control Cat Food - Guaranteed Analysis: 28% protein, 9% fat. BLUE Wilderness dry cat food formula is marketed as a high-protein, low-carbohydrate dry cat food. Designed for outdoor cats, this formula highlights the fact that it includes several complex carbohydrates, and is an alternative to “Raw Food” diets. The first four ingredients are protein-based, and the fifth ingredient is Potato Starch. The Guaranteed Analysis includes 45% protein and 18% fat. BLUE Organic Dry Cat Food with Lifesource ® Bits is a formula designed for pet owners who are looking to feed their cats a diet with organic ingredients. Two of the first five ingredients are protein-based, while three of the first five ingredients are carbohydrate-based. The Guaranteed Analysis includes 30% protein and 14% fat. Most consumers have favorable comments about Blue Buffalo brand pet food, especially their cat food formulas. However, some cats do not seem to like the taste or smell of some of the BLUE Spa Select brands of dry cat food, and other cats seem to have slight allergic reactions to some of the ingredients. However, most cat owners like Blue Buffalo's cat food formulas, especially the BLUE Wilderness formula, which is low in carbohydrates. Unfortunately Blue Buffalo cat food (dry and wet) made both our cats sick/vomit within minutes of eating it. This cat food has made my cats sick and caused a lot of vet bills. The food bothered my Bengal more than the others. Puking, diarrhea, dehydration, lack of interest in eating or drinking, lethargic. I’m switching back to Iams. My cats enjoyed the adult chicken n rice formula, but when the store ran out and I bought the salmon flavor they got very soft stools and didn’t seem to like the food. I tried contacting Blue Buffalo several times. They never answer their phones and the voicemail was always full I guess because it just would tell me to leave a message and then hang-up before I could. I’m returning the food to Pet Smart and will try the chicken formula again to see if it makes them sick also. If so, I’ll be shopping for a different brand of cat food, or hopefully, making it for them instead. I’m tired of all the pet food companies making a sub-standard products and over charging for it. My cats love both of the Wilderness formulas and the protein stats are better for my diabetic cat than the rx formula. They like it a lot more as well. It’s been the oly type of dry cat food that we have fed them for more than 2 years. I was feeding the salmon formula and the weight control formula to my three cats. The two that ate the salmon formula had diarrhea and were vomiting. The one that ate the weight control formula had diarrhea. I am throwing this product away and will never use it again. My cat vomited on Blue buffalo indoor health with life source bits, couldn’t seem to keep it down; not a good sign. Although I used one of the regular adult Blue Buffalo formulas because the store was out of the indoor formular and it seemed fine. I have new switched to a grain free brand called Acana, thinking my cat may be allergic, and there has been no vomiting! I cannot believe I waited so long to try a grain free cat food. When a cat is vomiting it is not normal. If it is happening more often than not, I believe it’s their body rejecting it. I am surprised by the other similar comments; could they all be cases of allergies or is there something wrong with this food? For all of you that have had problems with vomiting and/or diarrhea, did you actually transition your cat to the new food or did you just switch it out all at once? Cats sometimes have a hard time adjusting to a new diet, especially if they are switching from a primarily grain based diet to a primarily meat based diet. Iit takes at least a month to properly switch them from one food to another. I tried the Blue Buffalo adult indoor cat food. At first my cat seemed to really like it, but then he started to loose interest in it. I tried to switch him to it over time instead of all at once. By the time I had completely switched over my poor cat was having terrible diarrhea! I have talked to others who said that they had the same problem with this brand of food. I took it back to Petsmart where I had bought it and they had told me that they had heard the same thing from other pet owners/parents. They were very good about letting me exchange the food for another brand. They told me that it has a lot of protein in it, and that some cats can’t adjust very well to it. All I know is that there seems to be a lot of people out there who have had the same problems with this food as I have. It might be good if your cat/dog was raised from the start on it, but I wouldn’t recommend anyone to feed their animal this food if the animal is already use to eating another brand. I feel very bad for having made my poor cat so sick on this food when I thought that I was feeding him the best that money could buy. I think they need to adjust their formula. I will not buy this brand again! My two cats have had diarrhea for the past 2-3 months off and on. Antibiotics don’t seem to be helping and they are healthy otherwise. They started eating the Blue Buffalo indoor formula around late October ’10, so it might very well be a diet issue. What I have been trying to research is, if not Blue Buffalo, what other organic/natural brand is similar and decent? They have had urinary tract difficulties in the past and will not eat the vets food, so it must be lower in ash and protein. They do eat Weruva chicken cans as well, but need the dry to add substance and balance the diet out. Any suggestions are extremely helpful, thank you! My kitten eats the dry food indoor kitten formula, however I’ll be changing him to the adult formula soon. Blue Buffalo is the only type of food he has been given since he was a baby. He looks very healthy (shiny, soft fur, bright eyes, is very energetic) and his recent vet checkup showed he was in perfect health. My parents have fed their cat Purina all his life, and unfortunately their cat does not look as healthy. Overall, I’m pretty happy with Blue Buffalo, I’ll definitely continue to buy it. My main gripe is the price. I gave my cat the Blue Buffalo Dry Cat Food in January of this year (2011) and my cat got severe vomiting, diarrhea, dehydration, had to be taken to the vet for IV fluids, labs, urinalysis, xrays, and medications. The cat had never been ill a day in his 6 year old life before this. We immediately stopped the Blue Buffalo dry food and administered Probiotics to replace the normal flora of the cat’s bowel so that the diarrhea stopped. But the vomiting remained and became projectile. The cat had to be taken to the emergency vet referral center for an ultrasound which showed acute erosive gastritis (the lining of his stomach is eroded), cholangitis (inflammation of the gall bladder), swelling of the pancreas, and histiocytic lymphadenitis (swollen lymph nodes). His other 2 siblings, who did not eat the Blue Buffalo dry food, did not become ill. The vet has attributed his illness to the Blue Buffalo dry cat food. I’ve been reading other pet owners having the same problems with their cats after introducing this food. WHAT CAN BE DONE TO INVESTIGATE THIS CAT FOOD AND HAVE IT REMOVED FROM THE MARKET? I have just switched my two cats over to this food. I was looking for a healthy food that was lower in price than the prescription diets and that both cats could eat comfortably. My older cat has allergies to something that the vets think is chicken, and I have hoped that this food will be good for both the one year old and the 8 year old. They are eating the Wilderness salmon flavor which I was told is new. It looks similar to the prescription diet food and they seem to enjoy it. However I am not home during the day, and I’m now concerned about the comments I have read about the serious illnesses this food has caused. Has anyone had good results with this food over time? My cat had been eating Blue Buffalo Weight Management food for about three months. He now has a severe UTI and crystals in his urine, and my vet thinks it’s due to the Blue Buffalo. He said it’s one of the worst foods out there. My Siamese cat, Ming, has recurrent FLUTD problems that can run me $2k per session. I also have an older cat, Mac, who was starting to lose weight because of contant vomiting. I switched both of my cats to this food months ago and Mac no longer vomits and Ming has never had healthier vet checkups. This food, Blue Wilderness, works for me and I will keep buying it! I’ve had my cats of various ages on Blue Buffalo Wilderness (dry in the morning, canned in the evenings) for almost a year now. No health issues aside from a UTI in the oldest about 4 months back, which kind of hard to attribute that to the food. The dry is a rotation of the chicken and duck formulas, with the canned rotating daily on all four flavors of chicken, turkey, duck and salmon. The salmon is by far the favorite. If there was going to be a health issue with my herd, it would have come up by now. Do note that these cats have been on a mostly grain free diet for several years, and so their GI systems have reverted back to their ancestral form. One of my cats stopped eating entirely when I opened a new bag of their old food (felidae). She refused to eat it for several days. After discussing this at great length with the pet store employee we decided to try regular wilderness dry. After a month of slow mixing/switching over I only had some issues with diarrhea from the anorexic cat, but attribute that more to her not eating at all prior to the switch. I have since switched over to the salmon flavor (again, switching slowly over time), and have none of the gastrointestinal problems outlined by many people on this website. I have been feeding my cats some form of Wilderness for over a year now. One cat is 10 years old and the other is 5. Well this is very interesting. I just bought a bag of the weight formula not more than 3 days ago, and I had actually spent a lot of time reading up on this product. I have read negative reviews of the food before, but I’ve tried to keep an open mind of it all. Every cat, or animal for that matter, is different and perhaps the food is just not right for everyone. And no, I’m not a naive pet owner either. I’ve lived my entire life with cats and dogs so I’ve researched A lot in my time. I’m on a quest to figure out how to bring my 7 year old tabby’s weight down. All store and vet-bought foods have so far proven ineffective and in some cases very expensive. She is fixed, small boned, and indoor so anything over 10lbs for her is a lot. Currently she weighs 17lbs. The chief complaint I’ve heard is the protein content of this food and its effect on the GI tract of the animals. I just compared the bag of Whiskas Senior Adult formula I’m in the process of transitioning her from to the bag of Blue Buffalo. The Whiskas actually has a higher protein content in it than the bag of Blue Buffalo. Whiskas claims protein content of 41% min while Blue Buffalo claims only 28%. If this is the case then it must be something else in the food that is causing the issues, because according to the information on my cat’s current food the protein content is actually more than in the Blue food, and therefore the Blue Buffalo brand should be better? I work in retail so I’ll make a note to compare the percentages with the brands of dry food we carry in stock as well. It would seem that the more answers I look for regarding best animal diet I and left asking even more questions. I started feeding my 2 cats Blue Buffalo dry food about a month ago. They really like the taste of it, but my larger gray cat has started licking, scratching and biting at the skin on his legs and lower abdomen. He’s licked off a lot of hair in the last day or two. The only thing that has changed recently is his diet. I’m switching back to Max Pro. Much easier on his system. In fact I’m heading to Petco now! We just sent home a male neutered cat after a severe bout of urinary obstruction. The cat had blocked several days ago, was cathetarized and hospitalized for ongoing care. After spending several thousand dollars at the Animal Emergency Clinic the cat ended up having a Perineal Urethrostomy surgery here yesterday. This cat had so much sludge and sand in his bladder from eating the Blue Buffalo diet it was impossible to keep him from reobstructing. I would not recommend this food or any other so called holistic diet that has not had the studies and feeding trials that are necessary to ensure a safe and healthy product for your pet. Do not be drawn in by the words organic and holistic. There are no standards for Organic ingredients as it relates to pet food. Your best source of information regarding your pet’s diet is your veterinarian. Dr. Ginger Garlie, Stillwater, Minnesota. About a month ago I switched my cats over to this food. My seven year old cat has had problems with periodic loose stools and my vet had attributed this to possible food sensitivities. I thought this food was going to be a more cost effective alternative to help his problem but instead his stool became completely watery, and he lost almost two pounds in a month. This food is horrible and my vet referred to it as “crap.” I will never purchase this over priced garbage again. Thank you jaharrison763. This is exactly what happened with our grey tabby after about a month on this food. The reason we had made the switch is that we were told by a salesman at the pet food store that they were not carrying the Hill’s brand we used. Hill’s is not discontinuing the brand, the pet food store is choosing not to carry it. We had the same symptoms concerning scratching, excessive licking, and pulling out hair after about a month on the Blue Buffalo. Chewing off hair and incessant scratching is far bad enough, but we just barely got through a course of steroids and antibiotics for a blood infection when the food switch happened. No more Blue Buffalo, even though our cat liked the taste. Never feed your cat this food! My 4 year old male was hospitalized for 3 days and almost died from a urinary obstruction and crystals in his urine after being on this food for 2 months. After going through this very expensive life threatening ordeal I have researched extensively, and I’ve learned a lot about cat food. Moisture is so important for cats, its not natural for them to get it from a water bowl they must get it from their food. Talk to your vet or a knowledgeable person at a natural pet food store. Get your loved ones on wet food! Dr. Becker (http://healthypets.mercola.com/sites/healthypets/dr-karen-becker.aspx) is a great resource. Learn about what you are feeding your cat! I don’t understand why so many people are having problems with this food. I’ve read a ton of really positive reviews on other sites. I bet a lot of people that are complaining about about their cat vomiting and going to the bathroom a lot aren’t mixing the new food with the old food at first and are just throwing their cat right into the new food. You don’t do that. That will make your cat sick and vomit. I don’t know how this food can be worse when it doesn’t have any corn or byproduct ingredients in it which are not good for your pets at all. I’ve had my cat on friskies and she now is having digestive problems with the food because she poops way more than she should and she had very bad gas. She won’t play or do anything at all. I thought it was the corn in her food so I bought Blue Buffalo and she is already doing better. Of course the vet will say it’s bad because most of them want you to buy the crappy Science Diet food that is even more expensive even though the first ingredients are the corn and byproducts which vets then tell you not to give to your animals. Makes a lot of sense. I must risk to differ with Dr. Garlie. About 10 years ago my regular Vet stated that the diet I had one cat on (for struvite crystal in the urine) would pose no issue for the other cats. Unfortunatly one of my other Tom cats developed a calcium oxylate stone as a result of the diet had to endure several catherizations and finally PU surgey to deal with the damage. Turns out the Struvite formula of the time shifted the pH of the urine so that while struvite would remain in solutuion, it would support CaOxylate precipitation out of solution. The end point being that the best source of information regarding your pets diet is YOUR OWN RESEARCH and UNDERSTANDING of the nutitional needs of your pet and how various foods are formulate to meet those needs, along with their impact on your pets metabolic systems. My pets Vet is a wonderfull practictioner, but since he must see many many clients of whatever species, he does not have the resources to focus in depth on the needs of ONE animal type. We as pet owners do. Oh my! My cat suffered the same symptoms as Marie’s. Same vet tests and bills. Her symptoms didn’t start until I switched to Blue Buffalo. I after reading some of these posts I am convinced this food made her sick. Since she was so sick I have switched back to the Iams. I am going home today and throwing that Blue Buffalo in the trash! We used to feed our three cats Purina Indoor Formula. After a while they were just sluggish and lazy. They didn’t play much anymore. I even had to schedule their feeding because they would just graze all day for no reason. Their teeth were even stained from the food. They’ve been on the Adult Indoor Formula since about November last year (2010). Everything has changed for the better! I did make the change very slowly. Since this food is such a better quality than the stuff they were fed before I knew it would have to be an even slower switch over. They took to it right away. It took a while for me to get used to the smell, though. Since the change they’re more active. They have better weight and their fur is beautiful and healthy. Our little calico finally has her shedding issue under control and she’s finally comfortable. Their teeth are clean! It’s like their eyes are even brighter. No, I’m not an uneducated pet owner. I watch what goes in and what goes out. They are taking in the proper amounts. Now, as of last week, they no longer have to be scheduled. They have healthy stools. They get enough water, and there are no signs of urinary tract issues. Oh, and on a funny note, when a vitamin bit falls out of the bowl they’ll chase it across the floor if they have to just to eat it! I recently switched my Colorpoint Shorthair cat (approximately one year old) to Blue Buffalo because of allergies which caused him to scratch, lick, and nibble at himself, leading to an extreme loss of fur!. He immediately began to exhibit symptoms of nausea and developed diarrhea! 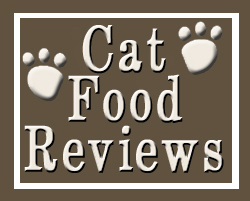 I will be returning the Blue Buffalo cat food to PetSmart and will try something different! We have two kittens that we have adopted. Both are up to date on their vet visits and shots. We were recommended to try the Blue Kitten food from a friend. The kittens love the taste and have gained weight and otherwise seem very healthy. There is only one huge issue, they both have smelly gas, as well as really bad diarrhea. They have both been on this food for about three months so am assuming they would have adjusted to the food by now? Whats wrong with this food, especially considering the the price we have to pay for it? The feces is the most foul smelling I have ever smelt, and I have had cats all of my 45 years. To me it seems to be to rich of a food for their digestive system to handle. The gas is so terrible they actually “squeak” when they pass gas. I would think that it must be extremely uncomfortable for the kittens, much less having the bad diarrhea every single day. The litter box is a mess, soupy piles of diarrhea constantly some times two times a day. As of now I am switching back to my old reliable kitten/cat food Eukanuba. I’m glad that I searched for this problem. Now I know the culprit to their nonstop smelly gas, and bad diarrhea. My cat was fed Purina for the first year and became fat. I switched her to Blue Buffalo with a small amount of a wet food mixed in. She didn’t think it was great in the beginning but grew to love it. Her dull coat became shinny, and she lost weight because I wasn’t feeding her Purina as well as cutting down portion size without her realizing the difference. I switch between Overweight Adult and Adult outdoor cat and she is doing fine. I switched my two cats to Blue Buffalo after reading positive reviews on other sites. One cat is fine but the other cat, a young female, has developed crystals in her urine and is having frequent urinary tract infections and vomiting. After reading similar complaints here, and speaking with my vet, I’m not feeding my cats this food at all anymore. I’m so disappointed. I found a stray kitten one month ago. I took him home and at first started him on Iams kitten formula. I had seen so many commercials for Blue Buffalo Wilderness that I decided to give it a try. He loves it, I mix dry and wet kitten formula. He is extremely active and the vet says he is very healthy. I wanted to do a raw diet, but don’t have the resources or time to make that happen. Cats are obligate carnivores and should not be on diets full of corn and by-product meal. If your cat has been fed that for a number of years, then switching will take many months up to a year to get used to not eating those ingredients. What you’re describing may not be due to the food. There are several intestinal parasites common among kittens, particularly rescues, that can cause such symptoms: coccidia, giardia, and various worms. I’ve seen exactly what you’ve described multiple times with the rescue kittens I’ve fostered (and yes, the smell is extremely foul, and the diarrhea is usually a putty like color). These parasites are easily treated, although it may take several rounds of medication to completely eradicate the symptoms. Have you had your vet examine your kittens for the diarrhea/gas? I decided to switch my 6 year old healthy cat to this food. I thought I was doing the best thing for her by going grain free. Big mistake. I mixed her food for 2 weeks to gradually switch her over and 3 days into eating only the Blue Buffalo, she is vomiting, has diarrhea, and will not eat. I am so upset that this food is even still on the market after reading all of these other reviews. She has been healthy her whole life and I feel terrible for feeding her this food. Please don’t feed your pets this food. These reviews really are accurate. I switched my cat to this food with no problems. Slowly added it to her old Iams food, and she is much more healthy now. I also supplement her diet with the Blue wet food, so she stays properly hydrated. It has been mentioned before that you need to slowly transition when changing food. If you don’t explosive poo is the result, much like when you go to a foreign country and get sick from the local fare. I would also mention that not all cats are suited to all foods. While it is a pain to buy food only to have your pet turn their noses up, that alone does not make it a bad product. Feeding your cat grain based foods is much like eating fast foods 24/7. If you do that you are asking for problems, diabetes being the main one. Always look for a grain free food. My cats had diarrhea from all Blue Buffalo dry food. I am so glad I found these comments. My smaller cat was losing weight. I took them off it all and tried Halo Dry Cat food and no more problems. Thank you all. I am always nervous when if I change a brand of cat food because let’s face it; cats are finicky. They are less that two year old and never leave the apartment so I purchased the appropriate mix. They took to it surprisingly fast and I feel better that a lot of unnecessary ingredients are not being ingested by them. If I may, a small piece of advice to cat owners who are thinking of changing the brand. Fact: cats puke. One way to avoid that is to slowly begin mixing in the new food with the old. This will give their taste buds and digestive tracts a chance to adjust. This usually works and is worth the extra effort if you have found a food like Blue Buffalo that seems, to me, to have superior contacts. My two cats have been on the longevity mature dry and wet food fully for over two months. They are 13 yrs old. They really seem to love it. No problem with the switch over that took about a month. Whichever one is finished first tries to steal the others food. They never did that with fancy feast. I would recommend it to everyone. My 2 new kittens love the kitten formula of Blue. They hear the bag crinkly and come running from across the house. They have gained the proper weight, they seemed a bit small when we first adopted them, and are typical crazy kittens. We’ve had no problems with them and I’m going to stick with this as long as they like it. I’ve had other cats and feed them the Vet. Recommended foods and my cats haven’t done as well, so I think with real animal food, not what ever the corporation deems profitable food, it will be healthier in the long run. Even the smell of Blue is hands and paws (yeah!) above the rest, you can tell there is meat in the food. I have a kitten that I rescued at 3 weeks old. She started off (when she got to the point of eating dry food) on Whiskas kitten, then I transitioned her from the Whiskas to Blue Buffalo: Growth dry food. The transition was VERY SLOW, taking about 2 months to completely finish off the Whiskas. Since then she’s been on the Blue completely for dry food. She also usually gets one can of wet food every day. Now she is 6 months old, and other than the worms that any kitten can get from its mother, has never had problems with her health. She is active and fit, with a soft, shiny coat. She even convinces the lazy older cat to get up and play. For those having problems, try to consider the factors. If your cat’s body is used to junk food (corn, wheat, artificial flavors), suddenly moving them to a very different food formula will easily make them sick. Also, read the feeding instructions on the bag. When comparing Whiskas to Blue, I did notice that Whiskas had a larger recommended portion than Blue. Feeding the same amount of food would likely have made her ill. I am shocked by all these negative ratings, my 15 year old cat is thriving on Blue, gorgeous coat, great weight, more energy, less hair ball problems, clear eyes, no stiffness, comes running when I pour the food into her bowl the vet cannot believe her great health, her blood work always comes back phenomenal. She has never had any illness on these products, I have had her on all the lines of Blue mature cat food, longevity, wilderness, life protection, Freedom and Basics. She loves them all! I also have my 6 year old corgi X Border collie on Blue same results, never had any issues with loose stool. A friend of mine who had a cocker spaniel on blue and had that issue switched him to the Basics line and helped a ton. I have 5 cats, right now that I switched from Meow Mix to Chicken Soup for cats and now Blue Buffalo grain free, the changes all took at least two months to complete, starting with a light sprinkle in each bowl the first week, second week a hand full, third week 1/4 cup I kept them on 1/4 cup for two weeks, then began increasing the increments till by the end of two months there was only a sprinkle of the old food in the mix, now they all are on full Blue Buffalo and no problems at all. I had fed Meow mix to my first cat who lived to 18 yrs. old she had kidney failure and I had to put her down, it did cause overweight but she was free fed, I don’t do that any more. The reviews here scared me, I don’t know what the actual problem is, but I know water must be kept fresh and plentiful, I have 5 large glass fruit bows filled with water, I keep a ping pong ball floating in each so I can see readily the decrease in water levels, I have 4 separate litter boxes and I spray disinfectant daily in each after cleaning (twice daily. I also give wet food, mostly in the evening, it is all grain free. I watch them carefully so far no problems, they have been on Blue Wilderness chicken for four months now. I’ll keep a close eye, but they are all playful and healthy. They are indoor cats only but have an enclosed porch where they get sun and fresh air, I also get cat grass;but they don’t eat much of that. I would hate to have to switch again, has anyone written to Blue Buffalo about this? Our four year old cat has been struggling to urinate for several weeks. Recently while sitting on the couch he lost control of his bladder. This is the first time he has ever had an issue. The next day he started howling and nesting. We immediately took him to the animal hospital. What is one of the first questions the doctor asks? “Are you feeding him Blue brand cat food?” YES, he has been eating this brand for only a few weeks! This food increases the production of crystals in urine and causes blockages. Our poor kitty was miserable and had to spend several days at the hospital. He is home now and is on antibiotics, pain medicine, and a prescription cat food. I am really angry this food is allowed on the market without some sort of warning! DO NOT FEED YOUR PETS THIS BRAND. Apparently the same issue is experienced by dogs.